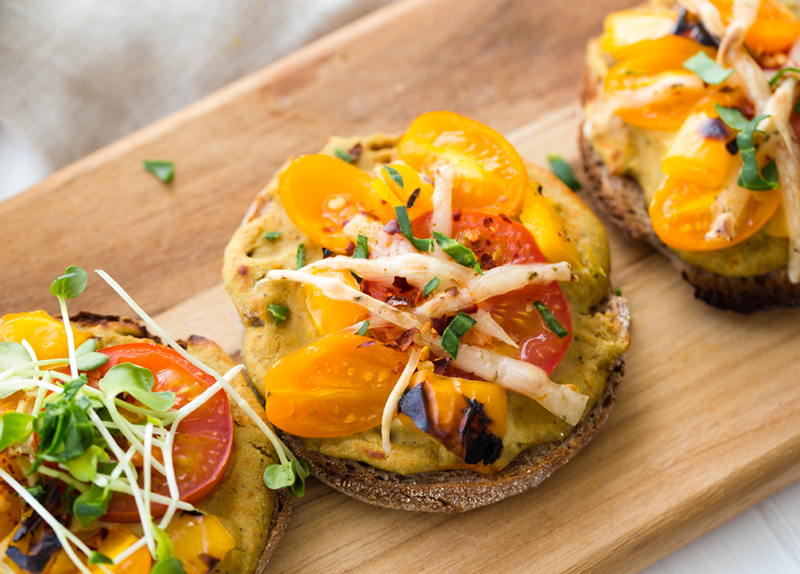 I love these Roasted Pepper Hummus English Muffin Pizzas with vegan cheese and fresh tomatoes because they are fast, easy, flavorful and totally versatile. 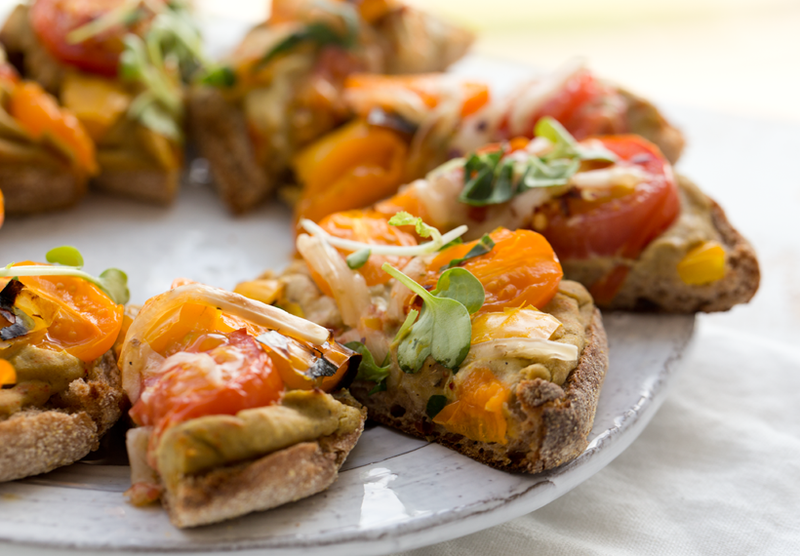 They are just as easy to make as a sandwich, but baking them makes all the components extra flavorful and satisfying. 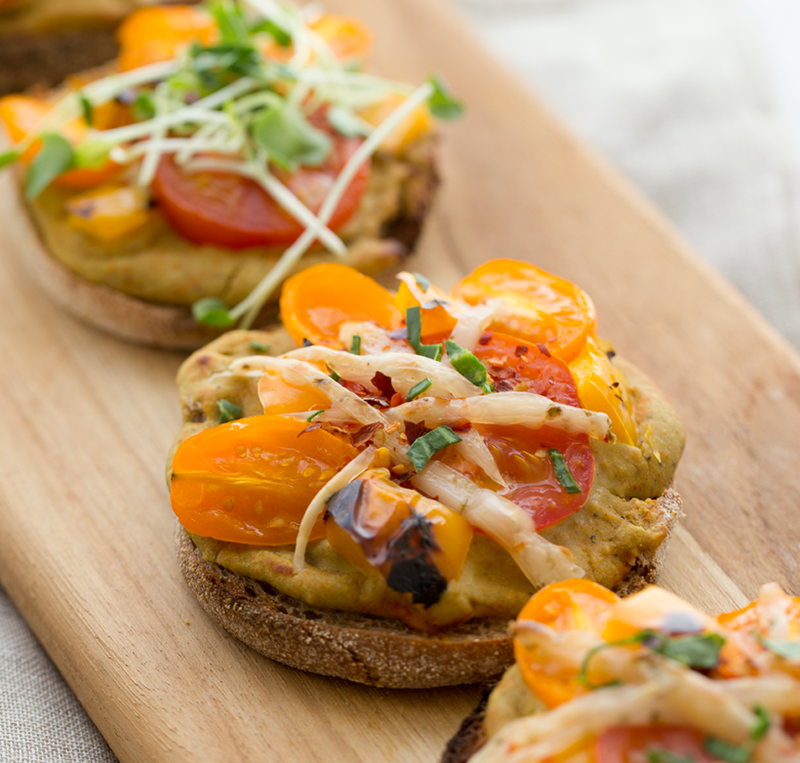 The hummus gets all warm and melty and the veggies soften as vegan cheese wiggles its way around toasted English muffin edges. 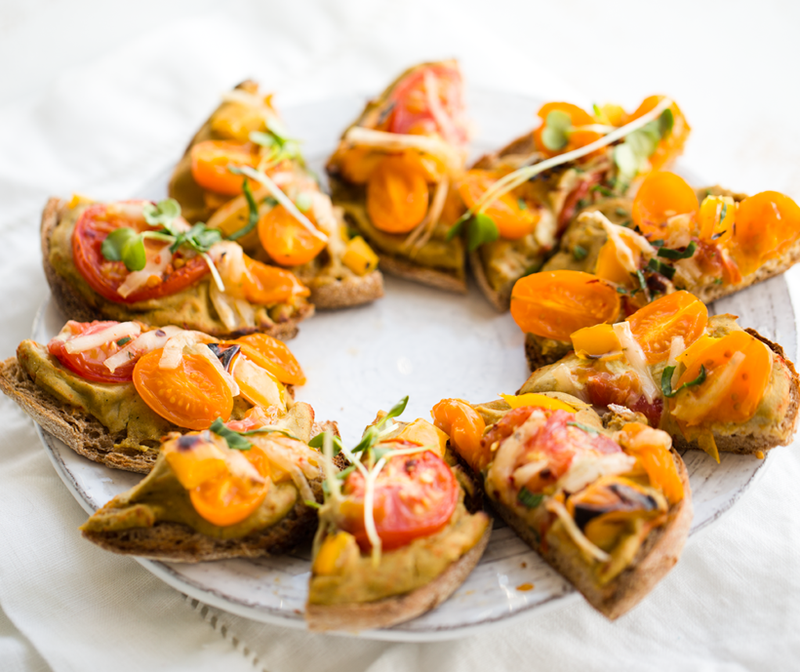 This fun "mini hummus pizza" concept is so easy to apply to just about any veggie toppings you have in your fridge. Totally customizable! PRO TIP: Top these pizzas with diced avocado to serve. 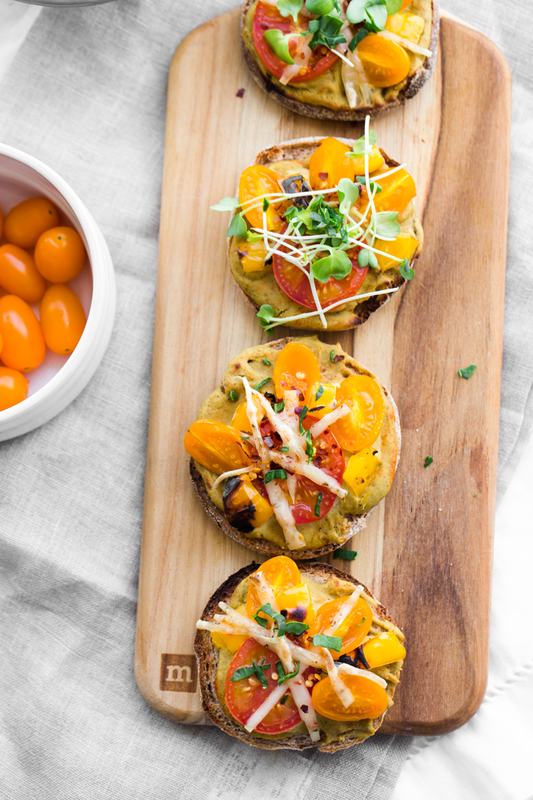 Get the recipe + video..
Mini hummus pizzas! 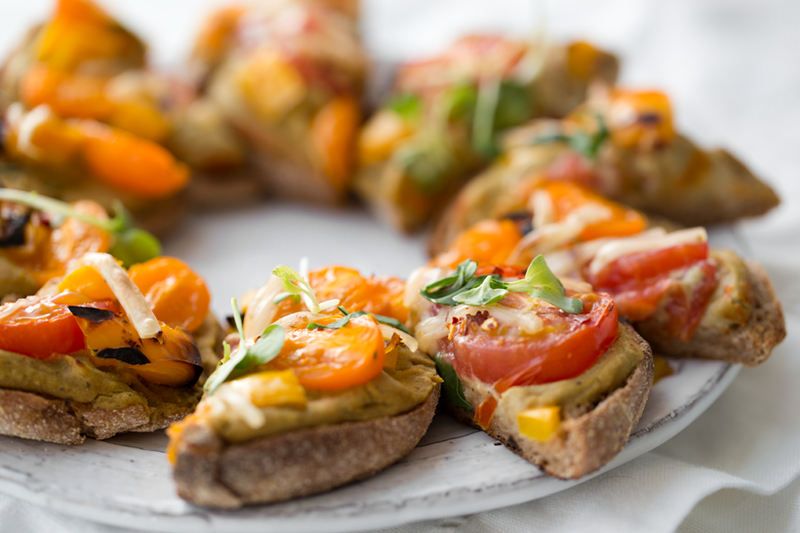 Super easy concept for a yummy snack, lunch or easy dinner. These pizzas can even be added to lunchboxes. 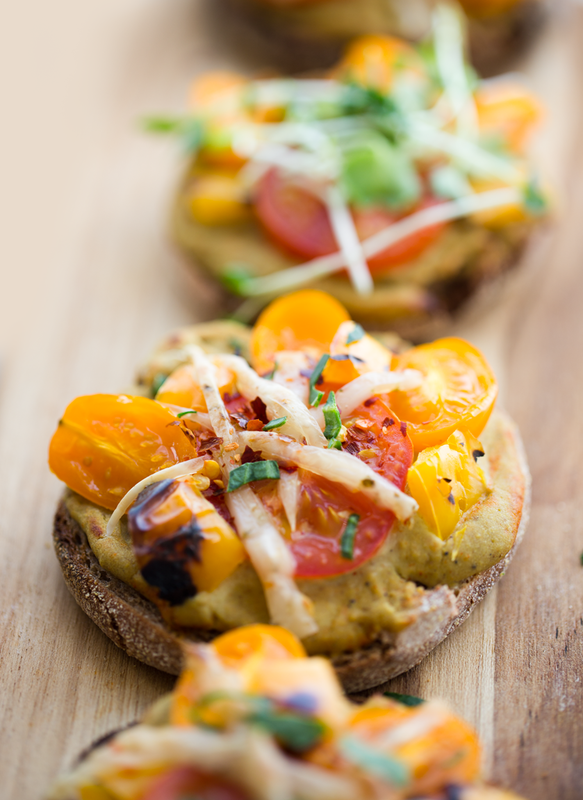 More of my English muffin pizzas..
Just add the hummus, toppings and optional vegan cheese -- bake and enjoy! I already told you about adding avocado. Well, other toppings could include hemp seeds, shiitake bacon, tempeh bacon, sriracha sauce, more leafy greens, shredded beets, vegan ranch dip, diced sweet potato, chopped nuts, carrots, chia seeds and on and on.. 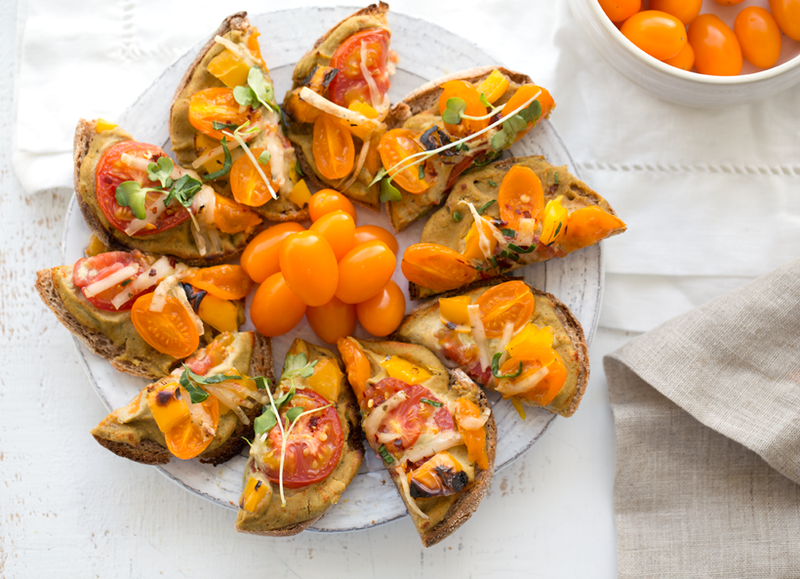 These Roasted Pepper Hummus English Muffin Pizzas with Tomatoes are slathered in rich hummus, topped with melty cheese and fresh tomatoes. Vegan and gluten-free if you use GF bread. 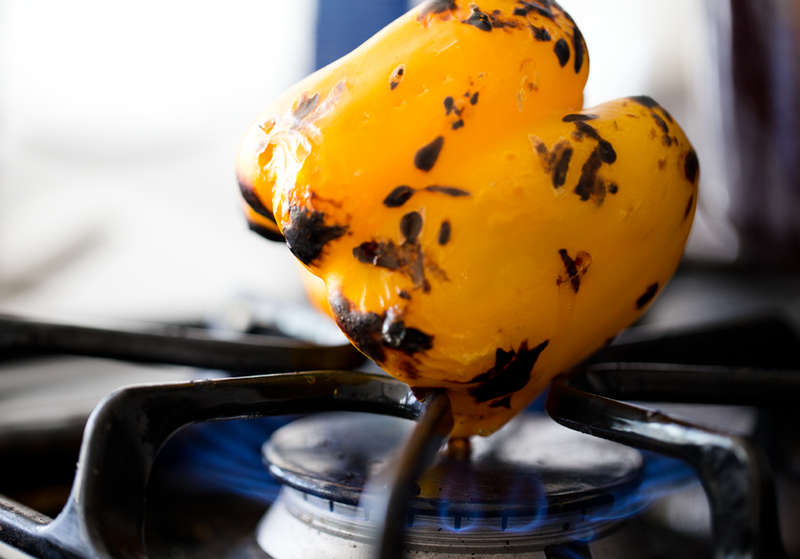 Roast peppers on stove top or oven -- or use jarred roasted peppers. 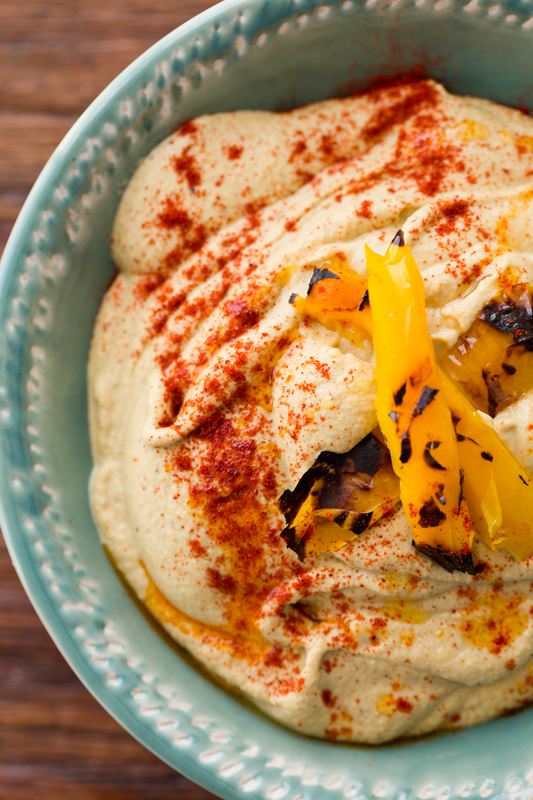 Jarred roasted peppers will have a stronger flavor, but I like to lightly roast my own peppers on my stovetop for fast and easy DIY results. 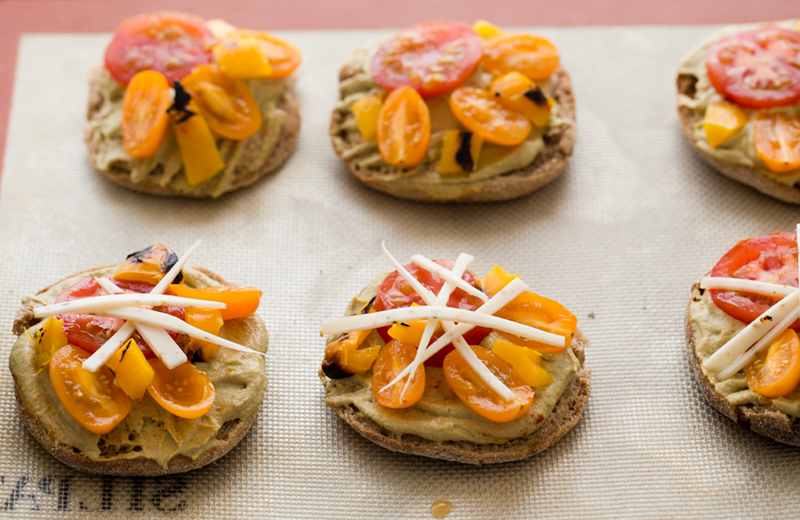 Spread hummus on English muffins and top with tomatoes and vegan cheese. Serve by slicing and topping with red pepper flakes and micro greens.